Light NE turning N, sunny. In the afternoon turning E and cloudy, a little rain from around 18. Nets open 05-19.30, netmeter hours approx. 4800. Ringed: Collared Dove 2, Fieldfare 2, Blackcap 4, Willow Warbler 12, Chiffchaff 4, House Sparrow 1, Chaffinch 2, Brambling 1, Greenfinch 2, Common Linnet 2, Lesser Redpoll 1 (first this season), Yellowhammer 1. Total = 34. Also 12 controls. 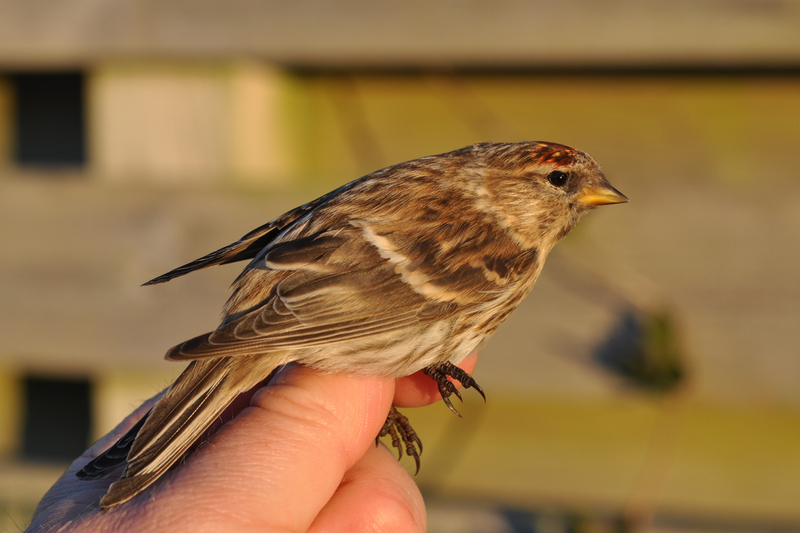 The first Lesser Redpoll of the season was ringed today. 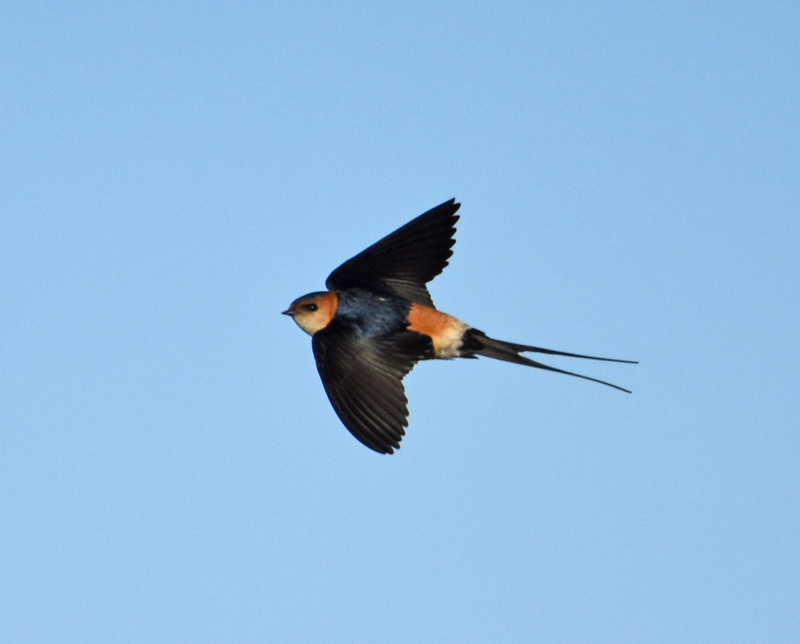 Some really nice birds around the bird observatory today: 2 White-billed Divers migrated north at 07.45, just 15 minutes later a Red-rumped Swallow was discovered, feeding along the trapping area with a small flock of Barn Swallows. A Little Ringed Plover was with 400 Golden Plovers in the fields west of the station, as was a Carrion Crow. Alf Tore Mjös. Also Renate Berg and Espen Helgesen a few hours in the afternoon.